A simple blend of upscale, industrial looks and loft-worthy flair in your effortlessly adorned abode, this striking chandelier lends a touch of simply chic appeal to your environment. 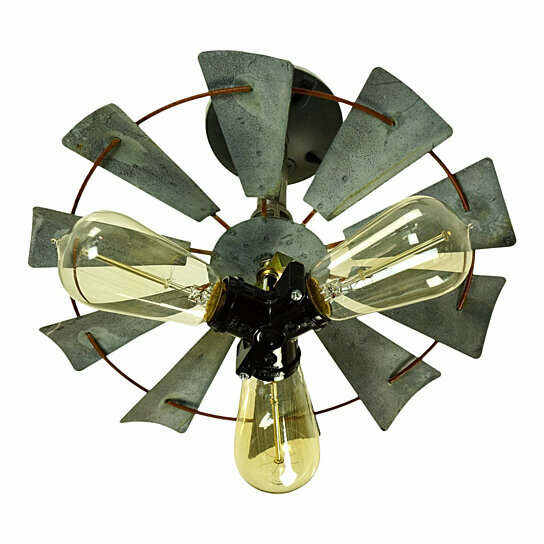 Featuring three Edison-inspired lights surrounded by a wind-mill design, this chandelier brings a bit of subtly stylish appeal to your look. Hang it up above your kitchen table to put a spotlight on casual dinners.